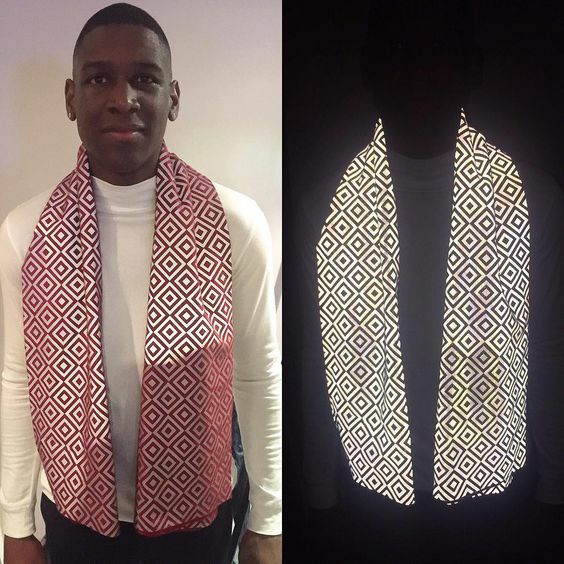 The ISHU, A Clever Reflective Scarf That Offers Privacy From Flash Photography #WearableWednesday « Adafruit Industries – Makers, hackers, artists, designers and engineers! The ISHU is a very cleverly designed scarf made from a geometric patterned, reflective material that is able to deflect the light from a camera flash in such a way as to hide everything behind it. The idea came to founder Saif Siddiqui while he was living in Amsterdam. Known as the “anti-paparazzi scarf”, the scarf has been gaining popularity, particularly amongst celebrities. In order to address the demand, Siddiqui and his team have created a whole new line of clothing using this same reflective material. The same kind of technology is on our checks at work. You can’t copy them on a copier. If they added this technology to license plate frames, there might be a more difficult time for municipalities issuing tickets from red light cameras.